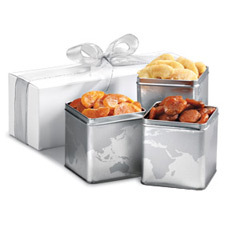 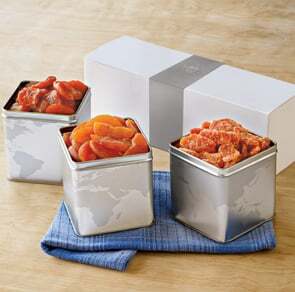 Indulge in luscious Harvest Pride® Peaches, exquisite Sweetglow® apricots, and juicy, sweet-tart Double Red grapefruit slices with the Premium 3-Tin Boxed Gift Set from Meduri World Delights. 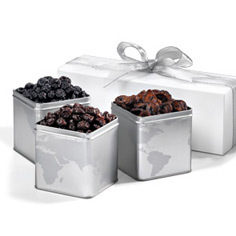 This enticing gift set of all-natural dries fruit contains irresistible flavors. 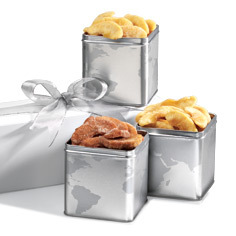 Explore the entire assortment of all-natural dried fruit gifts today at Meduri World Delights.